B. Thomas (Arlington, Texas, United States) on 25 August 2018 in Architecture. Big D (Dallas, Texas). 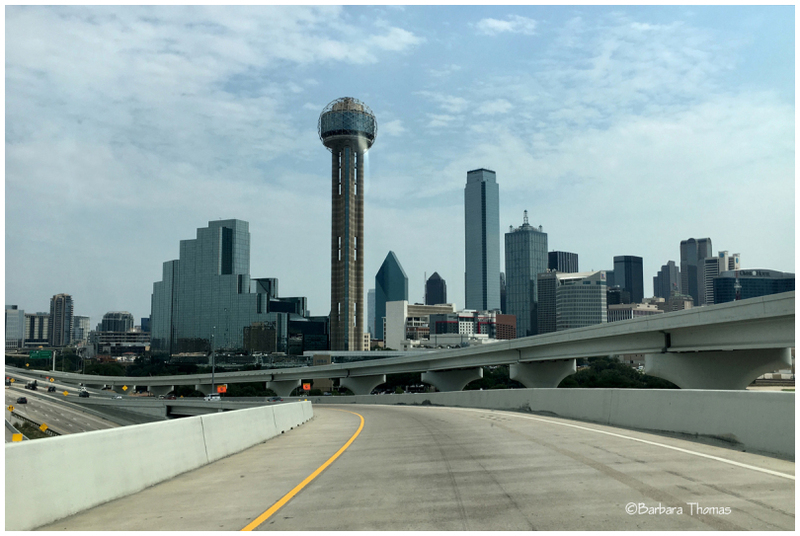 An iPhone grab shot from the car as we were heading into Dallas. It looks so modern and wealthy. It gives me the impression of being the car. Excellent look at the city. Some great buildings. So few people, like the city was deserted. Lovely view and skyline with architecture ! A impressive skyline you have photographed. sch beautiful composition & perspective! I hope this is Dallas and not the Big D that Mark Chesnutt sings about! Ohhh!! This is a superb image, Barbara! I love it. @Denny Jump: Oh no! I’m so sorry. She was a beauty, and I know you will miss her. My sympathy to you and Barbara. That is just the hardest thing to go through. Take care. An architecture of the future! Great shot! A cool skyline for sure! A super shot in my book. Impressive skyline, photographed nicely from a motorway perspective. It has a fabulous skyline. A wonderful image, especially that it was taken from the road! It looks like only one town in Texas!